John the Red and I popped down to Newark yesterday to visit Partizan. 'Popped' is the right word as from Middlesbrough it was a leisurely 1 hour 40 minutes door-to-door, arriving a little before 9:30. Thanks to the organisers here as they had made sure that nobody (often traders) hijacked the disabled parking spaces as is so often the case at wargame shows, and we were able to park within a few feet of the main entrance, and only a few feet more from an ice-cream van. There wasn't much of a queue and the organisers let us in early, possibly wanting to avoid punters from succumbing to the heat while waiting outside. After a brief chat with Duncan at Trent Miniatures John headed off to the book sellers while I trundled in the opposite direction to take a look at the games. Below are the 'photos wot I took' or the better photos at any rate. Those games omitted is not a suggestion that they were not up to scratch, more likely that my photos weren't good enough or I missed them. I didn't photograph many of the participation games. Again, the majority were good, but some were, well, silly. I think this was put on by Kallistra. It depicts the Battle of Varna but my memory may have failed me. It looked pretty good anyhow. The assault on Crete 1941 by Mr James Morris and the Lenton Wargames Club. Like a Stone Wall's depiction of the British in the back of beyond at the end of WW1, near Baku I think. It involved 'Dunsterforce', all in 1/72nd scale, which got me thinking, and later rummaging, among Hat, Zvezda and Streletz boxes. But I resisted. Caliver Books put on another Back of Beyond game to promote the 2nd edition of Setting the East Ablaze. Very nice train. Great figures and the city was very eye-catching! Wow! Stalingrad. Superb looking game and so much effort in putting the ruins of the city together. 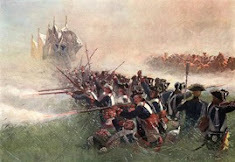 Steve Jones' depiction of the Battle of Camden 1780 in the AWI. Superb figures, very nice terrain and the Crown forces finally won, but it was apparently a hard slog. The Very British Civil War Forum put on this colourful and entertaining looking VBCW game, complete with lady lancers riding side-saddle. Not sure how that would work? Tell Lord Chelmsford we've found the Zulus! 'farsands of 'em!' Islandlwana . There were rather a lot of Zulus and the Imperial forces looked very thinly spread on the ground. Fantastic spectacle it was too. I don't know who put this on but they were well placed due to the nice breeze coming up from under the open doors behind them. An ACW game. The Forest Outlaws put on this splendid looking Napoleonic game. More excellent terrain and lots of derring do I imagine. I did like the Italian airbase in the background about to be done over by the Long Range Desert Group. I think this was put on by the Westbury Wargames club. 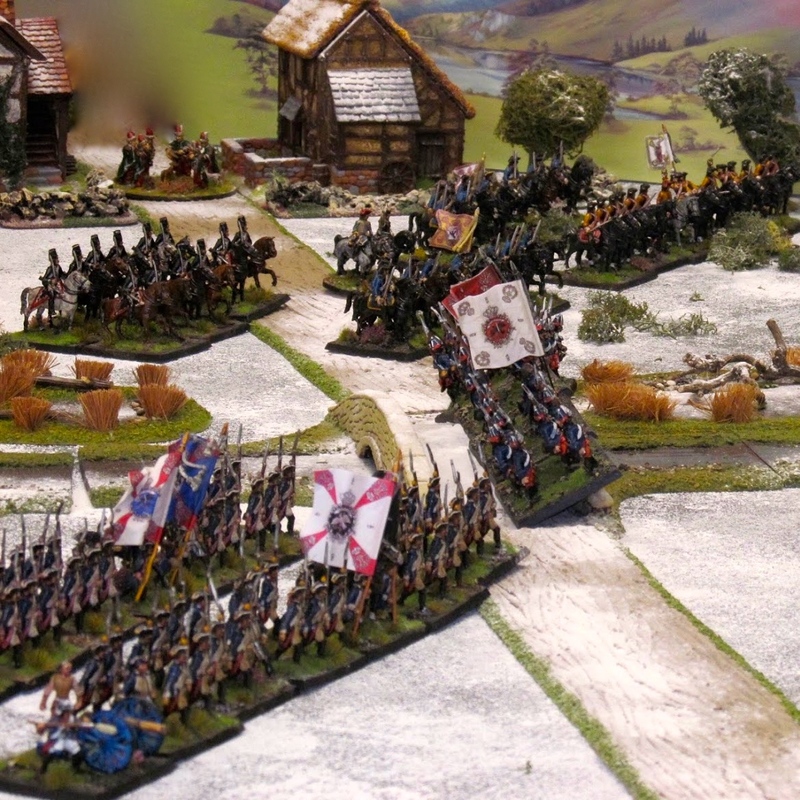 (Graham of Cran Tara Miniatures put this game on depicting a 'what if' scenario entitled 'The Retreat'. Lovely figures and a very well presented teddy bear fur cloth. Bramley Barn Wargamers' El Cid game. Again, a large battle, lots of troops, simple terrain. Great War Miniastures' WW1 game featuring Portuguese on the western front which must be a first for a display game. Outstanding looking game, figures, aircraft, and airfield, lovely terrain and Aly and Dave were happy to talk and explain the scenario. 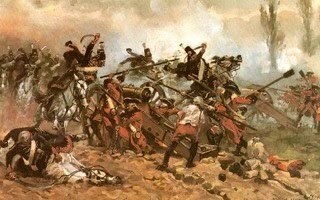 I think this is the battle of Cheriton in the English Civil War. The Biscotti Wars. Set during Garibaldi's expedition to capture Sicily from the Bourbons. The centre piece was fantastic and the figures looked splendid. The free biscuits were also splendid, but I had to have two of each in order to avoid displaying any bias. The Gothenburg Gamers' presentation of Suez 1956. I have lots of cousins in Gothenburg so I said I hadn't known there was a club there. "Och Noo Wee Lad!" The guys are from outside Edinburgh and are based in a pub called the Gothenburg. I did like the aeroplanes. 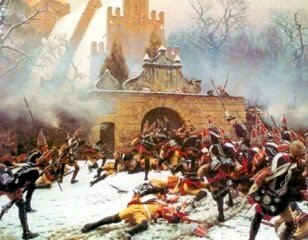 Derby presented another great looking game, the Battle for Pechory Momastery in 1701 during the Great Northern War. Great figures from lots of different manufacturers apparently, but I didn't notice. They all looked excellent, and it looked cold. I don't recall who put this Napoleonic game on but it was colourful and well presented. I am not a fan of hex boards; I think they're a 'marmite' subject. 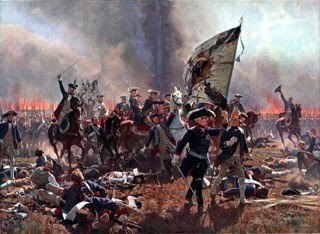 The Perrys put the Battle of Germantown in the AWI on. As one would expect, gorgeous figures and superb terrain. The League of Augsberg and their War of the Three Kings demo. It was the usual high quality that one would expect from Barry and his chums. I watched for a bit and think I have a better grasp of the rules, which I want to try out for my 1672 Franco-Dutch collections. 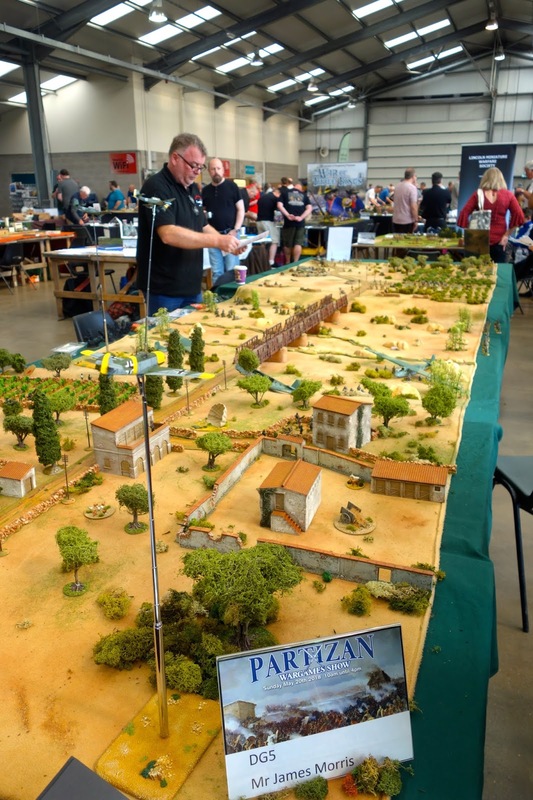 Durham Wargames Group put on a Punic War game. I was a member of the DWG for more years than I care to remember, from 1971 till not long ago. I know many of the members very well and have war-gamed with some of them for 40-odd years, both at the Club and at my house. At the risk of offending everyone, the game was not of the usual high standard expected of DWG, and if I was wearing my old work hat I would put them in 'special measures' on the basis of this display. Talking to the guys I think they agreed. Nostalgia sometimes is good. 'Defending Hyboria'. An excellent blast from the past using a lovely collect of flats. 15mm Napoleonic using General d'Armee. A few more shots of Great War Miniatures' April 1918 game. My favourite by a country mile (however long that is). The Zulus are in the camp. Time for Messrs Melville and Coghill to take the colours to safety. This was in my top three games. Well there you have it. Some excellent games on show, both demo and participation. There was a definite trend towards the use of cloths rather than terrain boards. Many of the cloth-based games looked good, great even, but in others the standard of cloths used was a bit poor to put it mildly. Certainly the very good home made ones and the commercially available ones look great, as did many of the terrain board games. Effort is still required whatever your chosen medium, and at Partizan there was oodles if it! I had a good chance to catch up with and speak to lots of friends and acquaintances from the wargames world. (Charles, did you get me message on messenger with the info you wanted?). There were others who I saw but couldn't catch up with, and it was rather nice when on a couple of occasions chaps, complete strangers, came up to me to say how much they enjoyed this blog. And the swag? A few bits of terrain (impulse buy), plus some pre-ordered terrain for my 1799 Switzerland project. 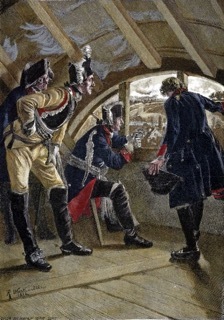 I also picked up six battalions of French infantry in 1792 uniforms from Matthew Fletcher of 'Three Armies' miniatures' recent kickstarter, like I need any more. I also collected 60 painted cavalry off my mate Barry to add to my 1806 Prussian army, and a few tokens from of The League of Augsburg. Oh, and I got another battalion of Polish Legion for my FRW French army. And a book on using an Ottoman army for Napoleonic, and another book on the Austerlitz campaign. Thanks to John for driving me down. It was a great day and I am looking forward to 'the Other Partizan' in August. I'm sure Ive forgotten something I meant to say, but it'll come back to me. thanks for showing, really enjoyed seeing al the lovely games - cheers. Many a fine looking game, Colin! Based on your pictures I'd rank the top three as Aly's WW1 game, the flats-Hyboria game, and the Zulu game. Thanks for a great Partizan report. Most impressive, hope I'll be there one day! Thanks for taking the time to get some shots of lots of lovely looking games. I'm not sure if it's me, but the shows 'up North' seem to have a greater diversity than 'down South'. Great photos Colin sorry I missed the show now!! I saw you with your scythed chariot on the WI video! Thanks for the pictures, some compensation for missing the event. I saw Phil. I saw me too on the video. That was about 2pm and I was completely knackered by then! I have several more 'kills to notch up on my chariot. Hope you are enjoying a speedy recovery. Wonderful photos Colin and a great report to boot! 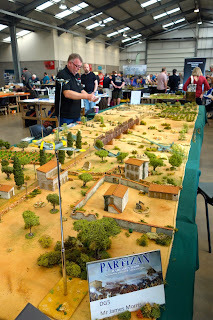 I have always had Partizan on my list of Wargames shows for many, many years so would love to attend one day. Carlo. Get yourself over here mate. You’d be very welcome to visit The Burrow as well. I find your comments a little harsh. I thought I explained we had very little notice of the fact that we had a table at the show; we were offered a table due to a cancellation. Nobody to blame for this. Matt knows the sequence of events. With my teacher's hat on I would expect a former OFTED inspector to make a judgement based all the facts! Thanks for a lovely lot of pics and the report. I would not imagine those lady lancers surviving the first lunge with the enemy , side saddle!